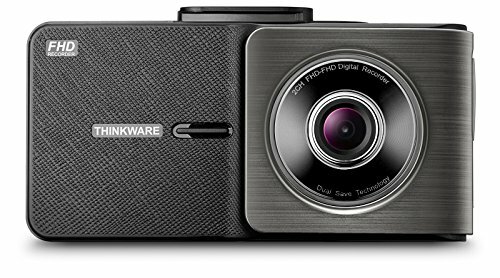 Thinkware are one of the leading names in dash cam technology and we have always been very impressed with their devices, so we were expecting to find ourselves equally as impressed with the X550. Whilst it does perform well for the price, we have to say that we were a little disappointed with this one, purely because of the quality that we have come to expect from Thinkware. Find out below what we thought when we tested the device. Driver warning system is very helpful for preventing collisions and warning of speed. Really nice compact, modern design. The dual save technology prevents loss of footage. The self-adhesive sticker for mounting is not strong enough. The super night vision feature is not as impressive as we’d have liked. This is, by far, one of the best things about the Thinkware X550 dash cam. This device is sleek and very discreet thanks to its modern design. What we really liked about the design of this dash cam is how modern and sophisticated it looks. To the right hand side of the device you will find the lens conveniently positioned. At the back of the device you will find a nice, clear LCD screen which is really easy to see. Down the left hand side is where you will find the buttons that are required to access the menu settings and control the device for playback and configuration. The camera has been made out of high quality materials, this is clear to see. It is incredibly robust. Before we could install the Thinkware X550 dash cam, we needed to configure it and get everything set up. As we have come to expect with Thinkware dash cams, the initial configuration process was very straight forward indeed. We didn’t have any trouble setting it up at all and it took us under thirty minutes. When it came to installing the dash cam in the car, we did have a few issues unfortunately. Along with the camera, you are provided with a self-adhesive sticker which is supposed to enable you to mount the camera in your car. Unfortunately, we found that it wasn’t really strong enough to hold the camera and it kept falling off. The only way to remedy this is to buy a suction mount elsewhere. One feature that we really like with the Thinkware X550 is the driver warning system. This alerts you when you are driving too close to a car in front of you which helps to prevent collisions. There are also other warnings for speed and more. We actually found this warning system really helpful so it’s definitely a nice feature to have. Overall, we were impressed. Having tested Thinkware devices in the past, the one thing that surprised us was that this one only records at 30 frames per second. We expected better, but decided to test it out anyway. This camera records at 1080P Full HD, so fortunately, the quality is very good and isn’t actually affected by the fact that it records at a rate of 30 FPS. One feature that we did like with this dash cam is the super night vision feature. We were a little concerned that this device would struggle in lower light conditions, but this really wasn’t the case. Thanks to the super night vision feature we were able to see things very clearly, even down to the finer details like number plates. Because of the niggles that we had with this device, we were really hoping that the extra features would make up for it. Fortunately, they did. The first thing that we really liked about this device is the dual save technology. What this does is save a copy of your footage onto your memory card as well as saves a backup version. This is a great safety feature to have. 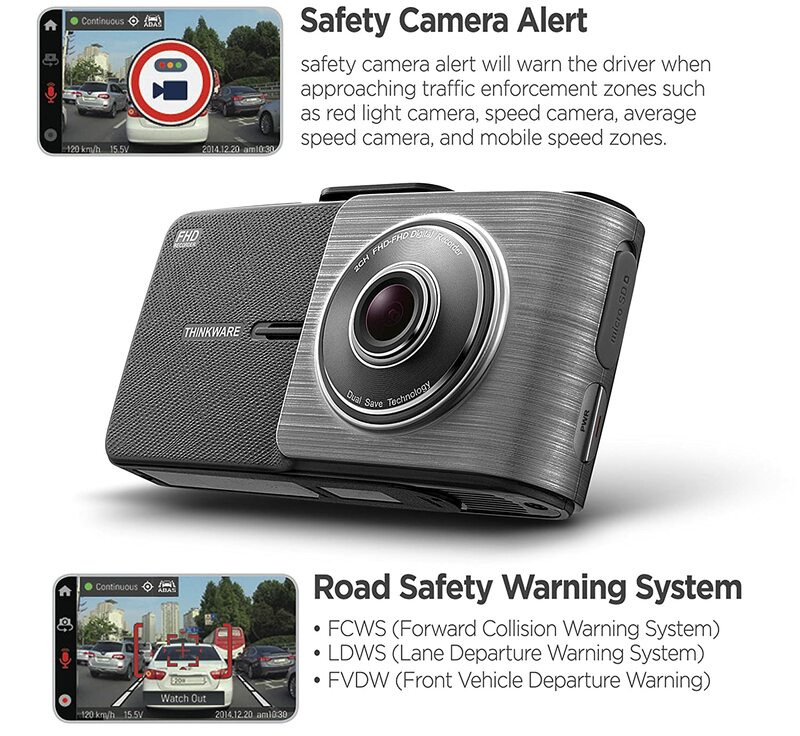 As we have already mentioned above, there is a driver safety feature with this dash cam which proved to be very beneficial indeed. 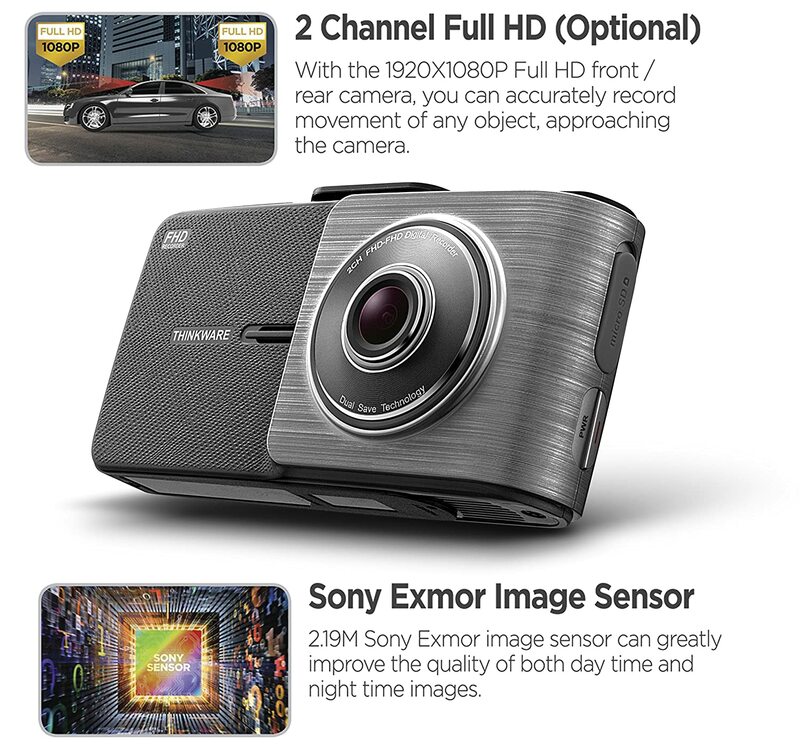 Overall, we have to say that the extra features on offer with the Thinkware X550 dash cam definitely make up for the shortcomings of the device. Although there are some issues that definitely need to be ironed out with this device, there are some great features which certainly shouldn’t be overlooked. For a reputable brand and a quality device, you can’t really go wrong with this one.